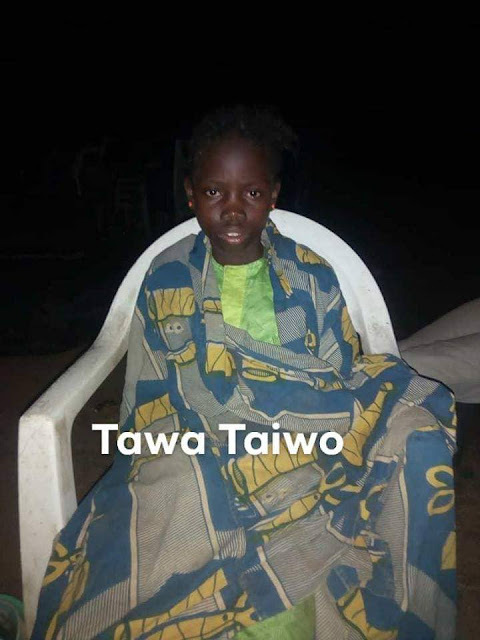 A twelve-year-old girl, Tawa Taiwo, who was reportedly kidnapped in ilorin, Kwara State, has been found in Oye-Ekiti, Ekiti State. She was said to have escaped from her captors on Monday. Tawa, at the time of filing this report, was in custody at Oye-Ekiti Police Station from where she will be taken to the local council for onward transfer to the Ministry of Women Affairs and Social Development. The source said: “We saw her roaming around and her outlook resembled somebody that was frightened. “Our curiosity was aroused by the fact that she was moving around at a time pupils of her age are in their various schools. The girl could not give further details of how her family members could be reached to reunite her with them.